After a recording mishap in the previous week, Buck and Steve begin a journey together that will be sung of in legends and songs throughout the ages. 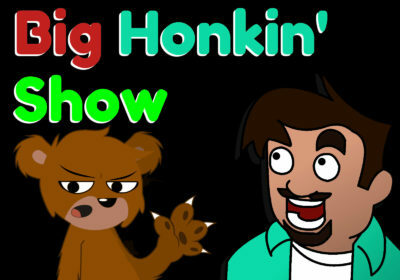 The guys discuss things like chickens, PEA, Talk Like A Pirate Day (which basically breaks down into grunts and unintelligible words), then in the first ever Big Honkin SHow podcast exclusive the guys discuss a product that must be seen to be believed. Feel free to check out the video below so that you can see and believe.